Nine single-story floor plans range in size from 1,507 to 2,462 square feet. Trilogy at Tehaleh offers indoor and outdoor activities in a natural setting, as well as homes designed for residents age 55 and older. BONNEY LAKE — Nestled in the shadow of Mount Rainier, Trilogy at Tehaleh offers an abundance of indoor and outdoor activities in a natural setting, as well as homes designed for residents age 55 and older. The resort community offers nine single-story floor plans with innovative designs that range in size from 1,507 to 2,462 square feet. Prices start in the $400,000s. Trilogy at Tehaleh has a limited collection of quick-move-in homes that are priced from the $500,000s. They feature upgrades and features selected by a professional design team. At the center of the community is Seven Summits Lodge, Trilogy’s resort-inspired mountain clubhouse. At the 14,000-square-foot facility, members have access to the Mantel Culinary Ascent. For foodies, there’s Hudson’s Culinary Expedition, a private space for parties, cooking demonstrations, viewing parties and classes. 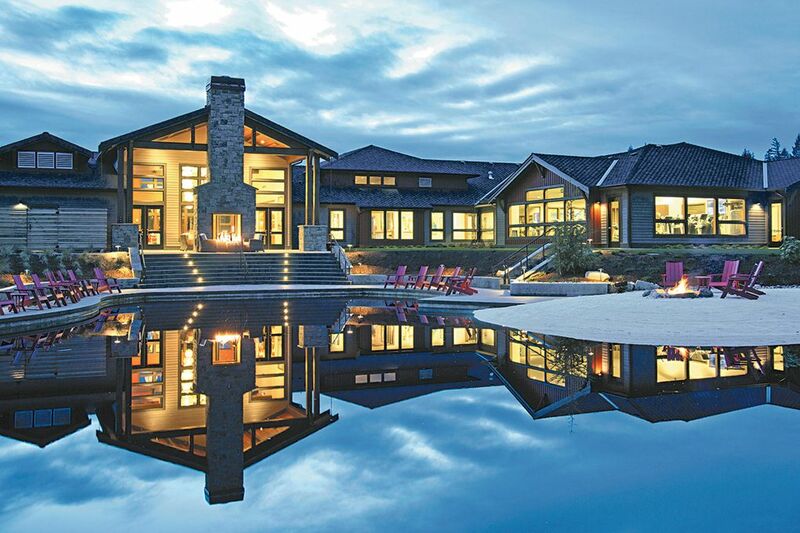 Seven Summits Lodge is Trilogy at Tehaleh’s resort-inspired clubhouse. The 14,000-square-foot facility includes a restaurant, fitness center and more. 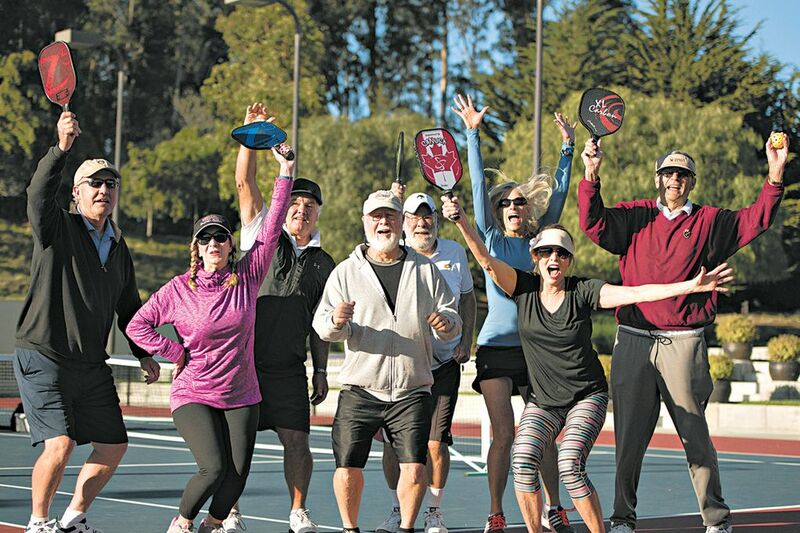 Pickleball is among the range of activities enjoyed at Trilogy at Tehaleh. There are many ways residents can interact socially. 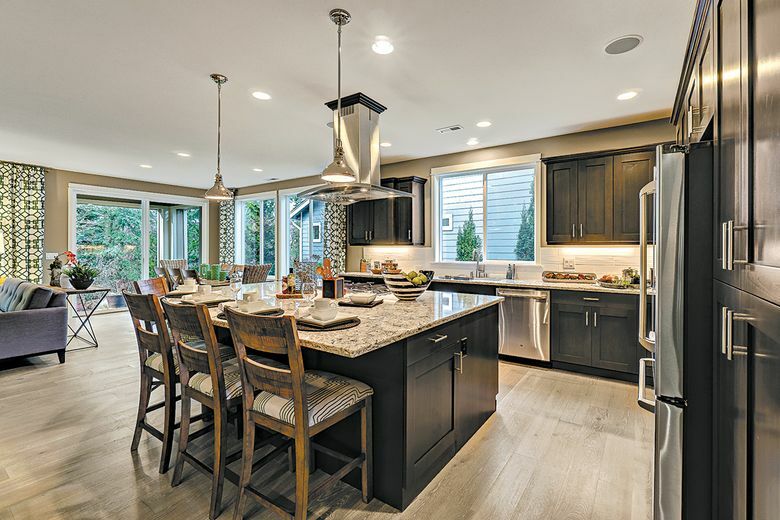 “Life here is about connecting — with people you love, new passions you discover and new neighbors who share in this rejuvenating time of life,” says Mark Gray, the area president for Shea Homes, the builder at Trilogy at Tehaleh. “Our homeowners are able to participate in community block parties and barbecues, ‘Happier Hours,’ pickleball, hikes with fellow neighbors, and enjoying summer at our outdoor lounge areas.